The converging chest press is a state-of-art machine which allows you to lift heavy weight with a controlled motion while also building up your core and pectoralis minor and pectoralis major, the muscles in the upper part of the chest. 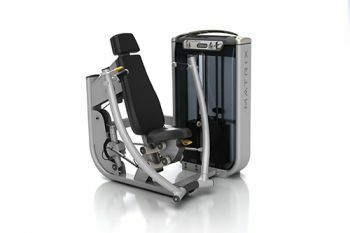 The chest press also has an independent converging movement providing a natural path of motion. It is designed for easy entry and exit and also has a bottle and towel holder.